I am sorry to have been lax as of late. This fall was crazy, and this upcoming spring has become even crazier. WWB proposed on January 1 and we’re getting married! And contrary to the current popular trend of the long engagement, WWB and I are gettin’ it done – in May. This May. In Charleston. 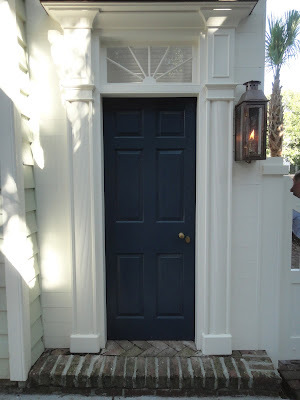 AND on top of that, I am trying to get some decorating done for the house in Charleston before all my friends and family come down and start poking around. Oh the stress. In Charleston, WWB and I have not been staying in the “Master Bedroom,” but rather the second bedroom because at this point it is more “finished.” However, my plan is that on our wedding night we will stay in the Master Bedroom for the first time – with the decorating completely finished. Obviously trying to get this done in two months is no small feat. I am leaning towards a scheme with a calming effect and have been looking at tons of photos for inspiration. One of my favorite things about some of these rooms is that they still have that spa-like calming quality, even though some of the fabrics and colors are bright and bold. I love Tom Stringer’s use of yellow as an accent color in an otherwise blue and white color scheme, and Bilhuber’s use of a bright patterned quilt in his spa blue room. 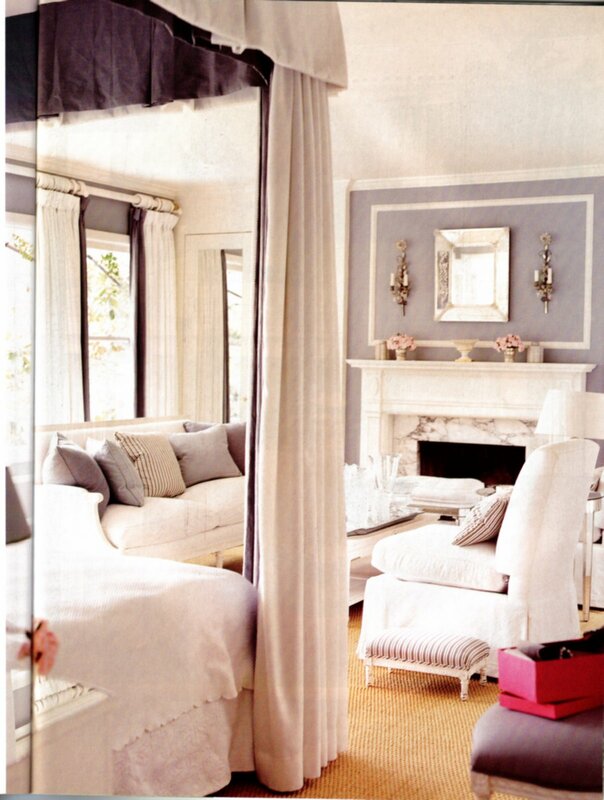 I love this Macoco fabric from China Seas, that Lynn Morgan used on pillows in the bedroom she designed above. 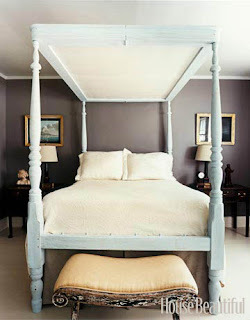 The walls in the bedroom are Benjamin Moore Gray Owl, and the floor is wall to wall sea grass with a faded grayish tint. This bold fabric pattern in a calming hue could be just the thing I need in the bedroom. Despite it having little relation to the space, or even “vibe” of the bedroom I am currently designing, this Albert Hadley designed bedroom is still one of my favorite of all time. Simple. Calming. Timeless.